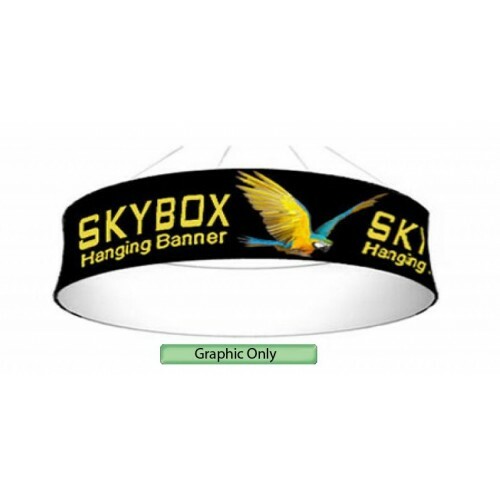 The Skybox Stretch Fabric Hanging Banner is a must have if you want to get noticed. These extra large hanging banners are produced from high quality stretch fabric and enables your booth to be seen from practically anywhere at your trade show. 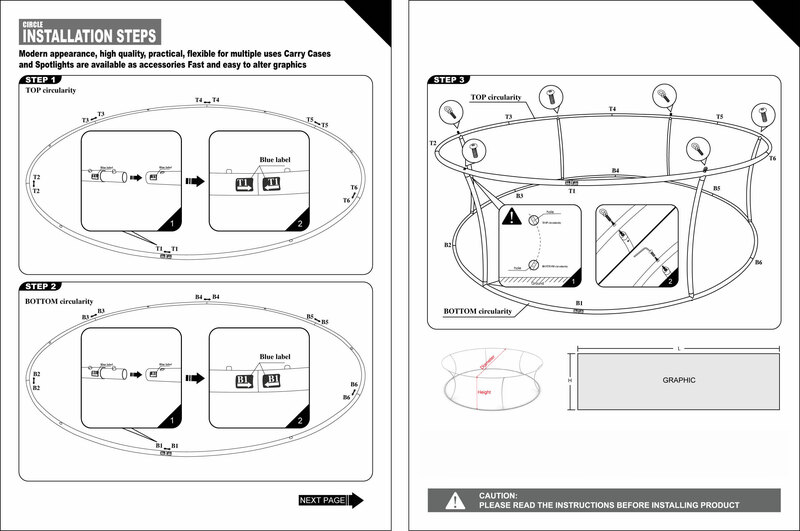 Available in round, square, and triangle configurations as well as numerous sizes, there is a Skybox Hanging Banner that would suit almost any situation. Hanging banners can been seen from practically anywhere at your show! Shipping Dimensions: 80" x 15" x 9"
Custom Printed Round Spandex Hanging Banner for Trade Shows 24in H x 12ft W SkyboxThe Skybox Stretc..